A conversation with M.M. 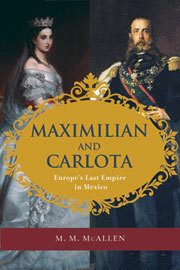 McAllen, author of Maximilian and Carlota: Europe's Last Empire in Mexico. Recorded in the Twig Book Shop, San Antonio, Texas, October 2015, and posted January 2016.